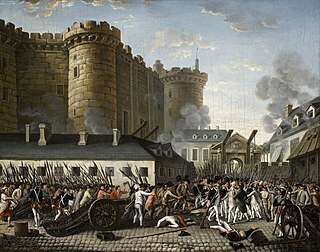 Wikimedia Commons has media related to 1791 . 1791 ( MDCCXCI ) was a common year starting on Saturday of the Gregorian calendar and a common year starting on Wednesday of the Julian calendar , the 1791st year of the Common Era (CE) and Anno Domini (AD) designations, the 791st year of the 2nd millennium , the 91st year of the 18th century , and the 2nd year of the 1790s decade. As of the start of 1791, the Gregorian calendar was 11 days ahead of the Julian calendar, which remained in localized use until 1923. Claude Chappe was a French inventor who in 1792 demonstrated a practical semaphore system that eventually spanned all of France. This was the first practical telecommunications system of the industrial age, making Chappe the first telecom mogul with his "mechanical internet." 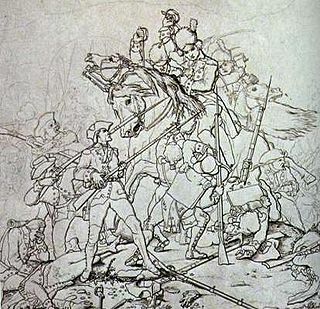 The Big Bottom massacre occurred on January 2, 1791, near present-day Stockport now in Morgan County, Ohio, United States. 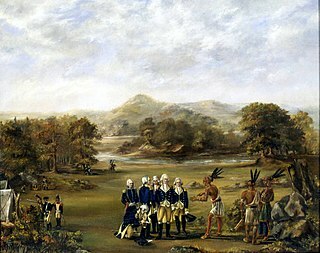 It is considered part of the Northwest Indian Wars, in which aboriginal Americans in the Ohio Country confronted American settlers, regular soldiers and militia, seeking to expel them from their territory. The Jones Point Light is a small river lighthouse located on the Potomac River in Alexandria, Virginia. It was built in 1855. It is a small, one-story house with a lantern on top and served primarily as a warning light for naval ships approaching the Washington Navy Yard. The lighthouse was discontinued in 1926, replaced by a small steel skeletal tower located nearby; this smaller tower was in use for ten years before being discontinued. After being dark for more than half a century, Jones Point Light was relit by a private concern in 1995, however, it was eventually put out again after ownership switched from the Daughters of the American Revolution Foundation to the National Park Service. Certain local efforts have called for the structure to be relit, but as of 2017, the only working lighthouse on the Potomac River is the Fort Washington Point Lighthouse, located five miles downriver. The ashes of Voltaire are transferred to the Panthéon . 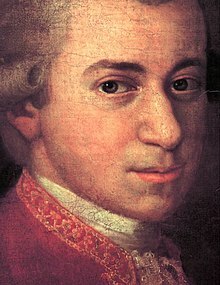 Wolfgang Amadeus Mozart's opera seria , La clemenza di Tito , premières at the Estates Theatre in Prague to mark the coronation of Leopold II as King of Bohemia. December 4 – The first issue of The Observer , the world's first Sunday newspaper, is published in London. The first serious secondary education school open to girls in Denmark, the Døtreskolen af 1791 , is founded in Copenhagen. 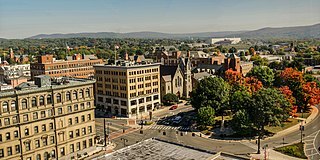 Pittsfield is the largest city and the historic county seat of Berkshire County, Massachusetts, United States. It is the principal city of the Pittsfield, Massachusetts Metropolitan Statistical Area which encompasses all of Berkshire County. The population was 44,737 at the 2010 census. Although the population has declined in recent decades, Pittsfield remains the third largest municipality in western Massachusetts, behind only Springfield and Chicopee. Døtreskolen af 1791 was a girls school active in Copenhagen, Denmark from 1791 until 1899. It is considered as one of the first school in Denmark to give serious education to females. Several well known people were students at Døtreskolen, among the educational pioneer Annestine Beyer. The Royal School for the Blind in Liverpool, England, is the oldest specialist school of its kind in the UK, having been founded in 1791. Only the Paris school is older, but the Royal School for the Blind is the oldest school in the world in continuous operation, and the first in the world founded by a blind person, Edward Rushton, who was also an anti-slavery campaigner. It was also the first school in the world to offer education and training to blind adults as well as children. 1734 (MDCCXXXIV) was a common year starting on Friday of the Gregorian calendar and a common year starting on Tuesday of the Julian calendar, the 1734th year of the Common Era (CE) and Anno Domini (AD) designations, the 734th year of the 2nd millennium, the 34th year of the 18th century, and the 5th year of the 1730s decade. 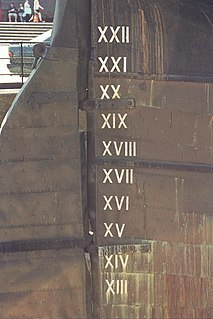 As of the start of 1734, the Gregorian calendar was 11 days ahead of the Julian calendar, which remained in localized use until 1923. The year 1791 in music involved some significant events. ↑ "A short history of the Ordnance Survey of Great Britain" (PDF). ↑ "Interior of Governors Palace, Algiers, Algeria". World Digital Library . 1899. Retrieved 2013-09-25.